Frequent Flyer what? Miles who? Award Redemption huh? This article is for people who have no idea about what Frequent Flyer Miles are and how to use them for free travel. If you already know the basics, then go straight to our Getting Started page to jump right in. You sign up for a frequent flyer account with an airline (it is almost always free to sign up). When you buy a plane ticket you give them this frequent flyer number as part of the booking. When you get a certain number of miles saved up in your frequent flyer account, you can redeem those miles for a free ticket. For example, you can get a round trip to anywhere in the continental US for 25,000 miles typically. 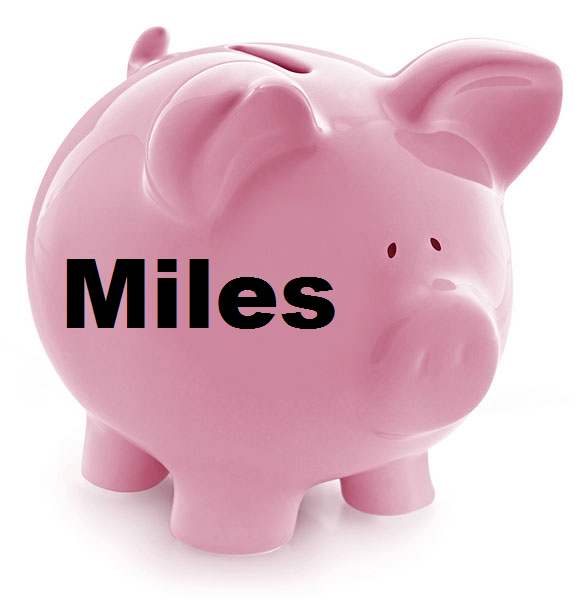 You can think of your frequent flyer account as a Miles Piggy Bank where you save up, then crack it open when you have enough for a vacation! And that is the Frequent Flyer Miles for Beginners! Easy huh? The problem is that is an awful lot of flying to get a free ticket anywhere. 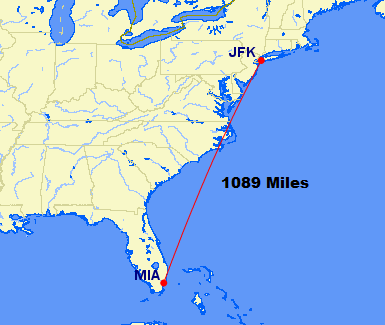 Using my Miami to New York example above, you would have to take 12 trips (2178 Miles X 12 = 26,136) to save the 25,000 miles to get one ticket to anywhere in the continental US. That could take a long time! I prefer to get my miles the easy way. 1,000 for liking an airline on Facebook or 500 for completing a survey or 500 for dining out at a restaurant. Or my favorite way, 40,000 at one time by getting a credit card like the Chase Sapphire Preferred. In just a month or two you can get more miles than you would have from years of flying, and in the comfort of your own home! Now that you have a basic understanding of how Frequent Flyer Miles are earned and redeemed, go to our Getting Started page to get to it!